Full Description: One of a group of 'cute' mini Valentine cards, including stand-ups and more conventional formats, all featuring (or abusing!) the cartoon image of a concertina-like instrument, and labouring the play-on-words revolving around the phrases like "accordin'to me..." ac.cording to my heart...", etc. 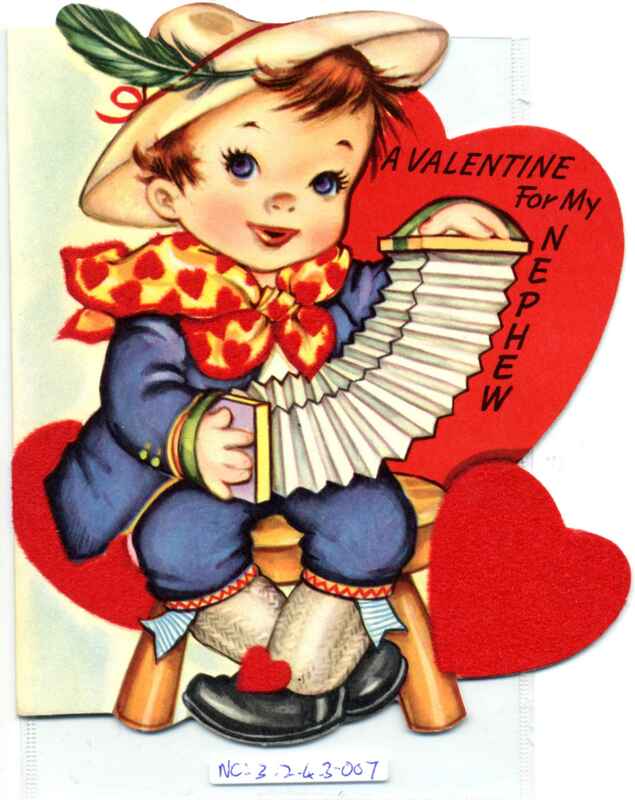 This one "A Valentine for my Nephew" has a rectangular cartoon concertina, and is one of a group of A-meri-Card productions in this Item.